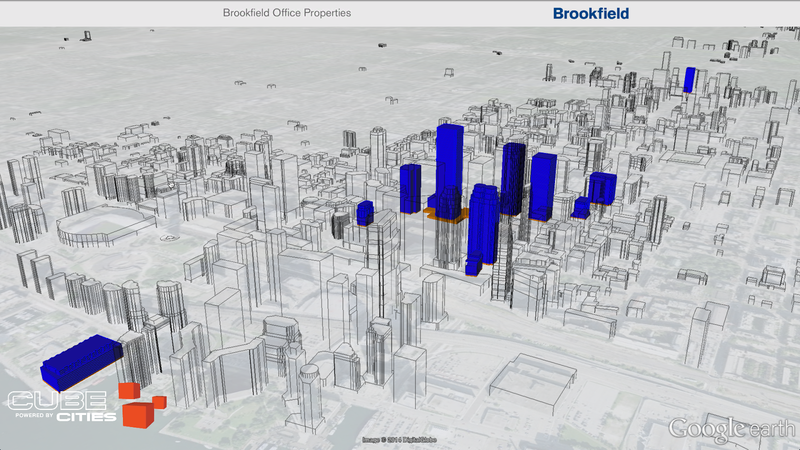 This image shows the available office space market in Toronto (in red) and the Brookfield Office Properties portfolio downtown Toronto. 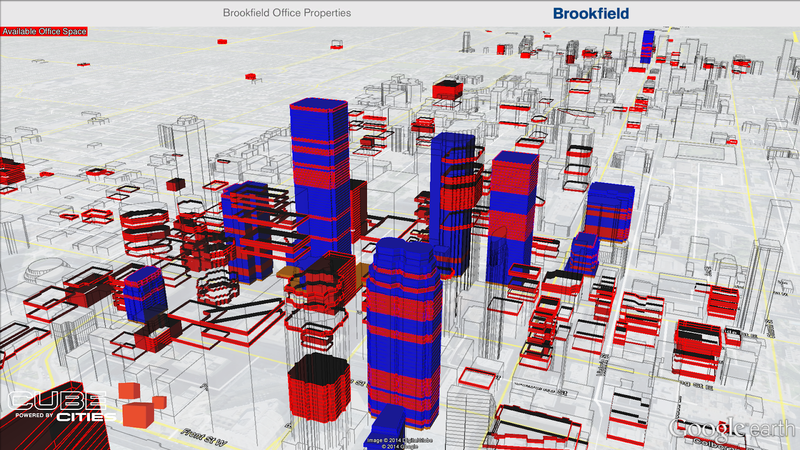 Brookfield office properties in blue, available office space in red. This video flies to each property in the Brookfield Property Partners (NYSE: BPY; TSX: BPY.UN) portfolio interacting with the available office space market downtown Toronto.